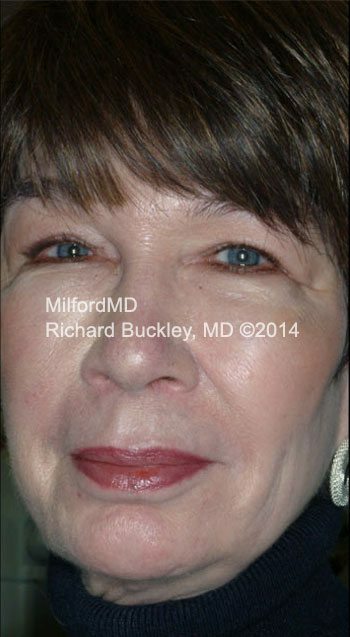 Before and after patient photos of an autologous fat transfer procedure, also known as AFT, to the face. 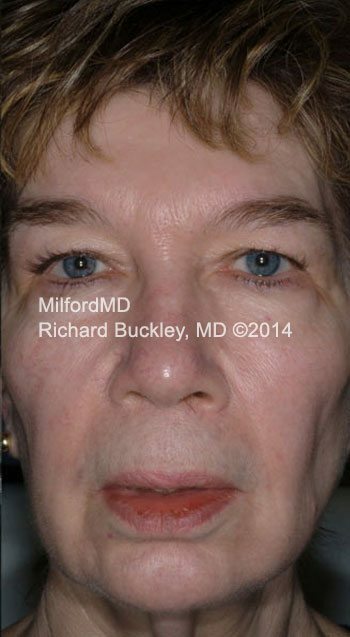 This natural rebalancing of the face via fat transfer was performed at MilfordMD Cosmetic Dermatology Surgery & Laser Center while patient was awake, using local anesthesia. 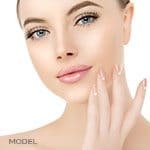 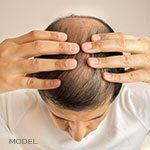 A youthful appearance has been restored to the face, by filling in fine lines and wrinkles with patient’s own fat.